Worlds divide, magic slays, and love lies in the second book of Josephine Angelini’s The Worldwalker Trilogy. "You think I’m a monster, but my choices, as ruthless as they seem, are justified." Lily is back in her own universe, and she's ready to start a new life with Rowan by her side. True, she almost died in the Pyre that fueled their escape from New Salem, and must hide her magic for the safety of everyone she cares about, but compared to fighting the Woven, the monstrous creatures inhabiting the alternate Salem, life is looking pretty good. Unfortunately, Lillian, ruthless ruler of the 13 Cities, is not willing to let Lily go that easily. If she can’t persuade Lily to return to her world, she will force her to come back by doing away with the ones she loves. Did you know how much I absolutely adore Josephine Angelini's books? 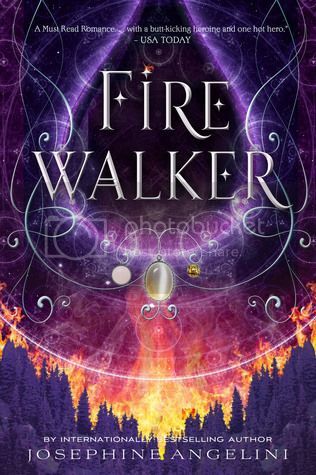 I can't wait to get my hands on Firewalker!! Trial by Fire was so unique and amazing, I just can't wait to read the sequel. Oooh I SOOOO cannot wait for this one either! Totally love the new cover looks too! So colorful and beautiful!! YES! I am excited about this one! I liked the old design of book one, but I also like the new design of the series. So that's a win :D I hope you enjoy this book when you read it!